The River at Night is like a modern-day, gender-flipped reimagining of James Dickey’s harrowing Deliverance. 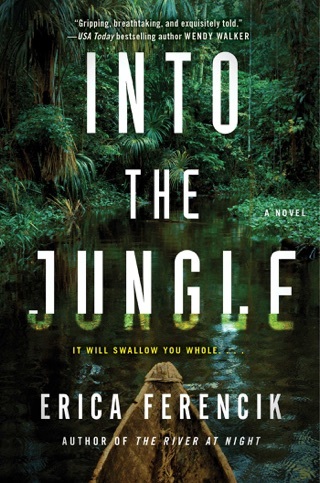 Erica Ferencik’s thriller is definitely brutal, but it’s also a surprisingly lyrical meditation on female friendship, personal empowerment, and physical survival in an unforgiving world. The story follows four longtime friends who set out on a five-day white-water rafting adventure in the Maine wilderness. What starts as an escape from emotional battles at home quickly turns into something much more sinister. This increasingly fast-paced novel—in which neither nature nor humans can be trusted—kept us awake well past bedtime. The decision of four female friends pushing 40 to spend their vacation white-water rafting in a remote corner of Maine jump-starts this adrenaline rush of a novel from Ferencik (Repeaters). Winifred "Wini" Allen isn't keen on the idea, but she goes along to be with Pia Zanderlee, who arranged the trip, and two other close friends. Wini also needs to get away her brother has recently died, her husband has left her, and she despises her job as a graphic designer for a Boston-based food magazine. Pia has hired a hunky 20-year-old Maine college student, Rory Ekhart, to be their guide. The river outing has barely begun when tragedy strikes and the group is left without their raft and most supplies. But battling nature pales when they realize that they aren't the only people in the area. Set over five days, this adventure tests the women's friendship while also depicting their resilience. Fans of John Dickey's Deliverance will enjoy this current take on the wilderness survival tale. 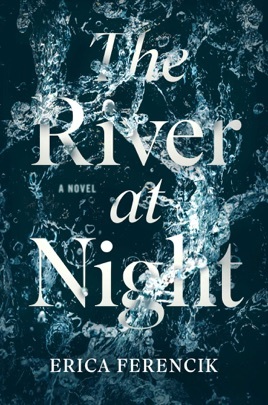 I don’t know if the author intended The River At Night to be an homage to Deliverance, but if so, then she has succeeded wildly. Very tense story. Totally vivid characters, one of which is the river itself, both salvation and killer. One of the best thrillers this year. I was thoroughly disappointed in this book. It was soooo slow and seemed very predictable. I couldn't wait to finish it. I couldn't put it down. Suspenseful and full of surprises. Best of all I didn't see the end coming.